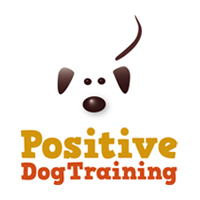 Welcome to Positive Dog Training's online class booking system. Please click on the course you wish to book, you will need to compete the online Booking Form and pay via credit card. If you are unable to book online or prefer to pay using an alternative payment please phone Sharon on 0418 886 698. You have the choice when you book into the Basic Dog Manners Level 1 course to upgrade to a one hour private one on one lesson in addition to the course. You will receive a confirmation email along with additional important information and some useful handouts to download. We look forward to helping you and your dog. Suitable for puppies who have attended puppy preschool or those dogs or puppies that have had no formal training. Week 1 is a dog free lesson so we can teach the handlers some skills and behaviours to train at home in a non distracting environment. Suitable for puppies and dogs who have had no training. The Basic Dog Manners - Level 2 is designed for any dog who has completed Basic Dog Manners - Level 1 with Positive Dog Training. Ideally it is best to move straight from Basic Dog Manners - Level 1 to Basic Dog Manners Level 2. The course is designed so your dog does not need to be proficient in all the behaviours learnt in Level 1 before progressing to Level 2. The course runs for five weeks and your dog comes to all five lessons. If you dog has completed training at other dog club or training venue please contact Positive Dog Training so we can ensure you are booked into the correct level. The Canine Good Citizen Life Skills Course is a three week program. This course is designed to revise some basic skills as well teach your dog to be calm and focused around other dogs and people. Each lesson is one hour in length. We provide the option of assessment for the Canine Good Citizen award, a national award from the Delta Institute, the educational arm of the Delta Society. The course is run at the same day and time each week. If you booked into a Sunday 9.00am course then you attended for the three consecutive weeks. The cost of the three sessions is $120.00. The Delta Institute is the educational arm of Delta Society a not for profit organisation that provides a number of services including Delta Therapy Dogs to visit people aged care facilities and Delta Dog Safe program to educate primary aged children how to stay safe around dogs. The Delta Institute also provides education for professional dog trainers. If you choose to be assessed for your dog to be a Canine Good Citizen once you pass your assessment you will be provided with a letter and link to Delta Institute website to register. The Delta Institute will send you your certificate and dog tag. There is a $30.00 fee to be paid to the Delta Institute. Read more about this on the Delta Institute website. Your dog will need to be 12mths of age before you can be issued with your award. You can start the class at any age - your dog does not need to be 12mths to do the course. The assessment part of this course is optional.